Since dating Shane, I have been to 7 races to support him. Waiting anxiously at finish lines ready for a sweat drenched hug with refreshments in hand. 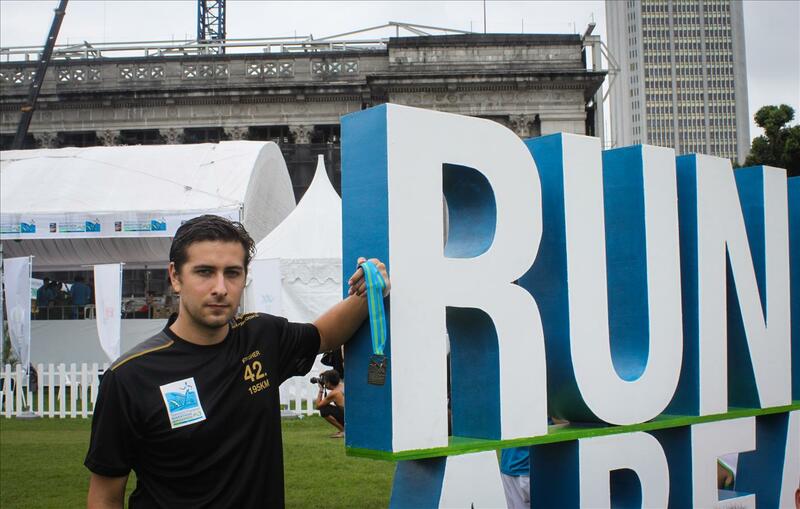 The Singapore Standard Chartered Marathon was completely different. It hadn’t officially been my job to cheer for nearly 5 years, and I’d been a little out of practice as far as yelling encouragement out at everyone. 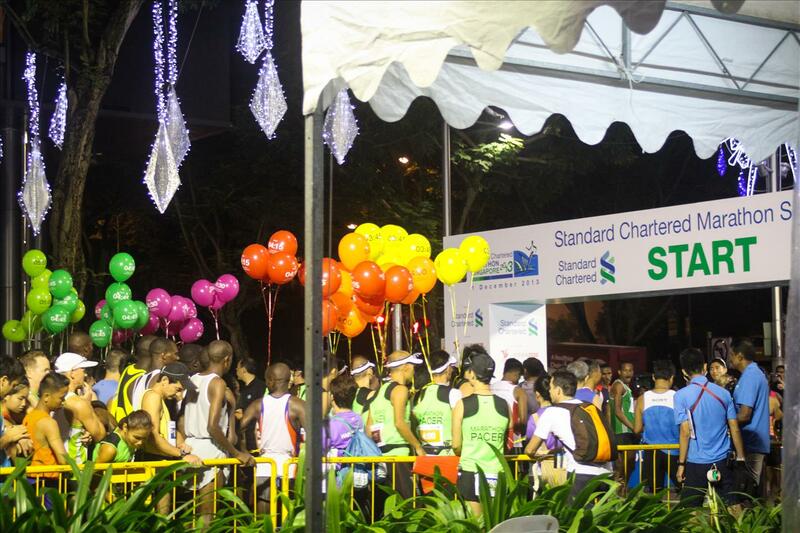 However, when I got on the Standard Chartered Marathon Cheer Bus, I felt my inner Varsity Cheerleader surfacing in all it’s high pitched yelling robotic dance movement glory. 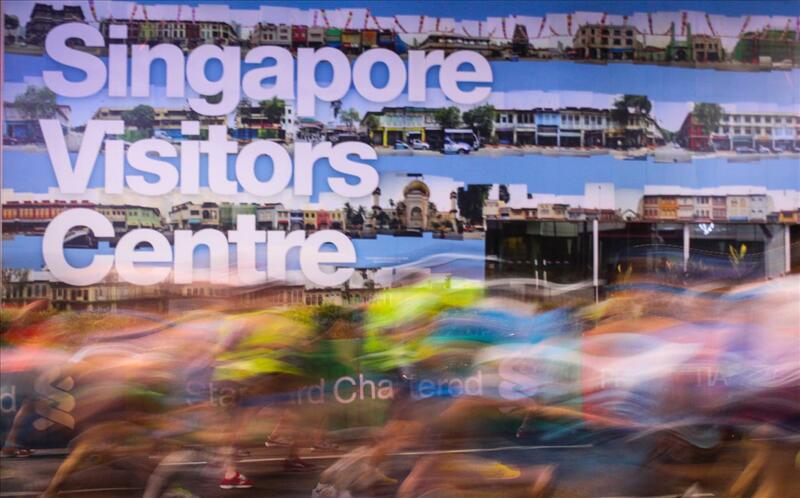 I boarded the bus shortly after watching the start of the marathon at 5:00 a.m. and found myself surrounded by middle aged Chinese-Singaporean ladies: my kind of crowd. Direct and having read the information much more thoroughly than I had, I knew if I managed to stick around with these ladies, I would be set. We all sat and were given our “cheer packs” : a drawstring bag complete with water, balloons you blow up and hit together, a whistle, a hand sign with a motivational message, coupons, and a frisbee. 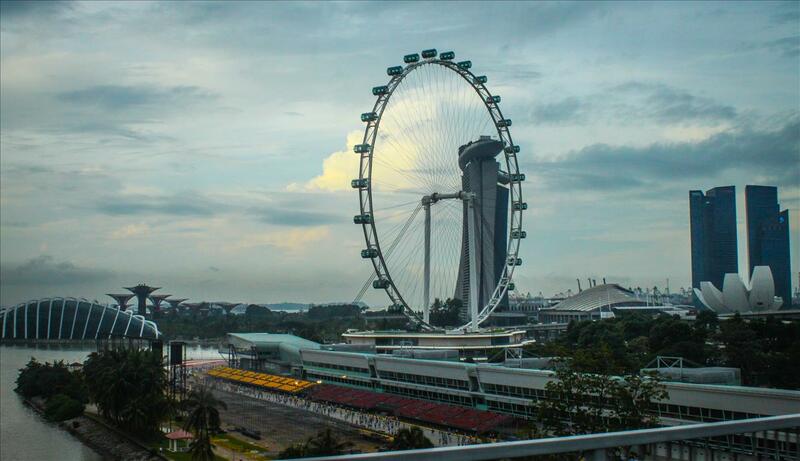 The bus passed through the streets of Singapore. I gazed out the window at the urban landscape. There were Christmas lights everywhere creating a festive holiday atmosphere, which would not be complete without the holiday spirit: created by countless groups of young adults on their way home from a night at the club, unknowingly stumbling the very same streets as the race course, fighting race security, and yes, even emptying their pickled stomachs into street planters. Tis’ the season. It took about 45 minutes to arrive at the midpointand then we waited….and waited. About 15 minutes later we got our very first cheer opportunity when the elite Kenyan athletes who would finish the marathon in about two hours. “Yay! Go! Good Job Guys!” Too in the zone and aerodynamic to high-five us, they passed in all their professional glory and left us to wait some more for all the mere mortal runners of the marathon. We cheered and cheered, high-fived strangers, blew whistles, and yelled “You can do it!” (the fiercely cheering ever-encouraging Chinese ladies would put half the High School cheer squad to shame). We watched the sun rise over the harbor shore park. Cheering Shane on halfway was awesome. I usually never get to see him mid-race. The bus then departed after about 3 hours of cheering at the halfway mark. It would take us to the Finish Line. The bus made it’s way directed by several Chinese ladies acting as back seat drivers in Chinese. We made a few u-turns and finally continued on our merry cheer way. At stop lights where runners were present the ladies insisted that the doors be opened so that our cheers of encouragement could reach the ears of the runners. Then another couple hours of cheering at the finish line. The haggard runners at the end of the marathon and half-marathon managed to scrounge up smiles and high fives for the most part. And as it turned out my vomit viewing count would land at 2 that day, with bonus points for one person slipping in it (poor guy). The one thing I missed was hugging my sweaty boyfriend at the finish line. Because there were so many people running the race and cheering them on, they had a very organized exit for the runners that spit them out at the end of the expo grounds in 5 different spots to meet their cheerleaders. Not to worry though, I still got drenched like a kid in the splash zone at Sea World about 5 minutes after the he finished the race, and 5 hours of hard cheer-work. It was like a cold shower signaling the end of the Magical Cheer Bus Adventure. ← Australia Video is Finished! !